Google is moving forward with plans to kill passwords on mobile devices using a system of biometrics to authenticate identity. Its latest effort, dubbed Project Abacus, will begin trials with "several financial institutions" next month with the goal of becoming available to every Android developer by the end of the year. Rather than relying on fingerprint sensors or two-factor authentication, the concept is that users would be able to unlock devices or sign into apps based on a “Trust Score” derived from their usage patterns. These include things like typing patterns, current location, speed and voice patterns, facial recognition, and other things. Google originally showcased Abacus at Google I/O last year and though we haven’t heard much about the technology since then, it has already been trailed by 33 universities across 28 states. Now it’s time for real world testing. 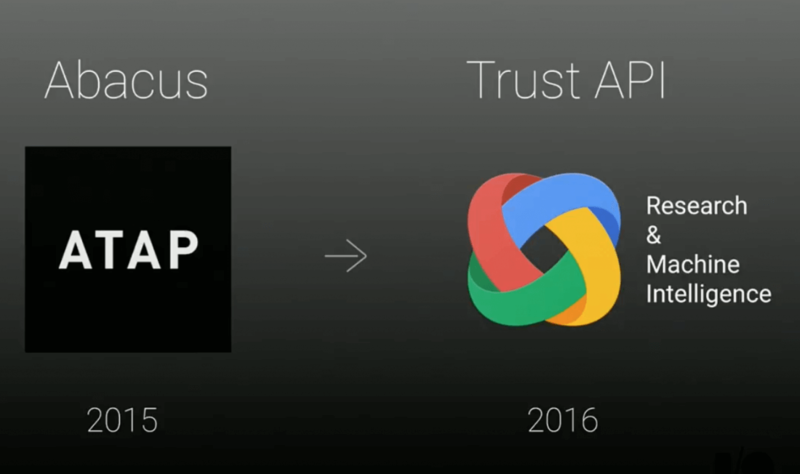 Developers will eventually get access to a new "Trust Score API" to build the authentication technology into their apps. According to Google’s Advanced Technology and Projects, the research unit behind Project Abacus, different apps could require different Trust Scores depending on how critical is the data it handles -- banking apps, for example, would require a higher score compared to a game. If successful, the technology will make it less of a hassle to sign into different services wile making them less vulnerable to password leaks. Of course you’ll need to trust Google to have its biometric system running in the background on your device to continually collect data about you to form its Trust Score.